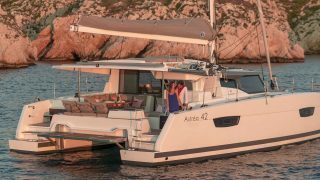 Fountaine Pajot’s range of smaller power and sailing yachts is carried by road from the factory to the water in La Rochelle marina, France. 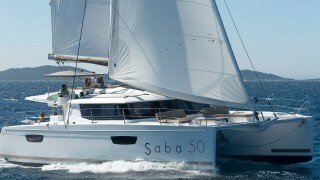 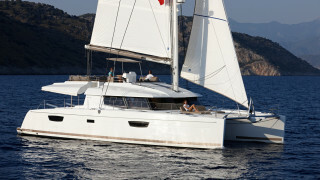 The yacht is then sailed to Southampton, UK where they are shipped by sea freight. 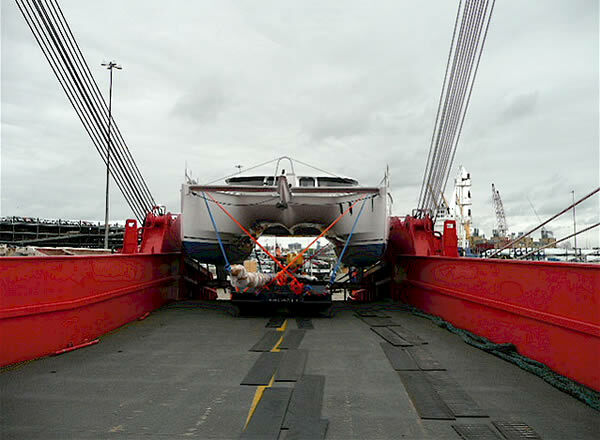 The yachts are typically carried as below-deck cargo on car carrier-style ships, where they have no exposure to the elements. 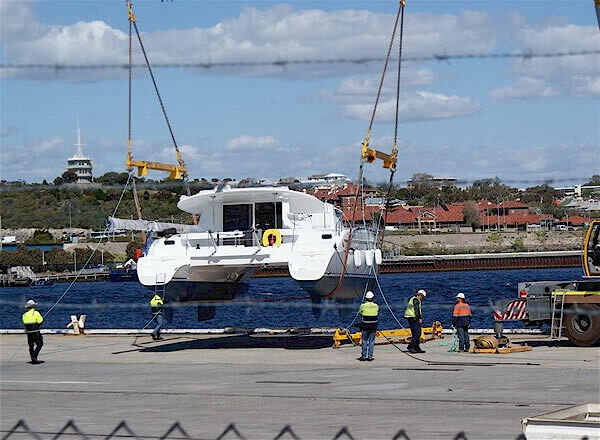 On arrival to Australia, New Zealand or Asia, Multihull Solutions oversees the transfer of the vessel from the ship to the dock and launched into the water, where professional contractors handle the full commissioning process (eg. 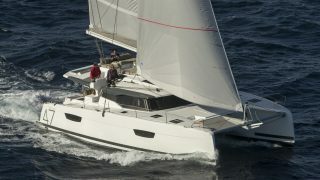 standing of mast, fitting of bimini etc). 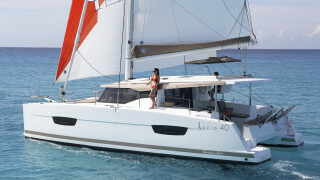 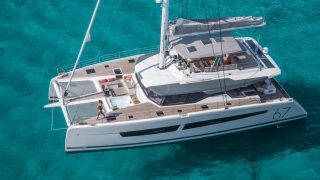 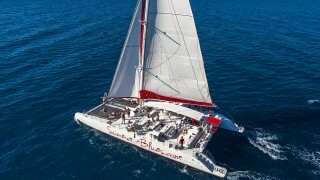 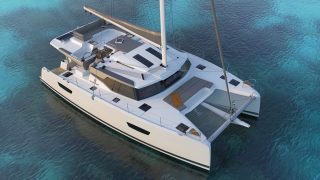 A Multihull Solutions sales representative will then manage all inspections and sea trials before handing the vessel over to the client. 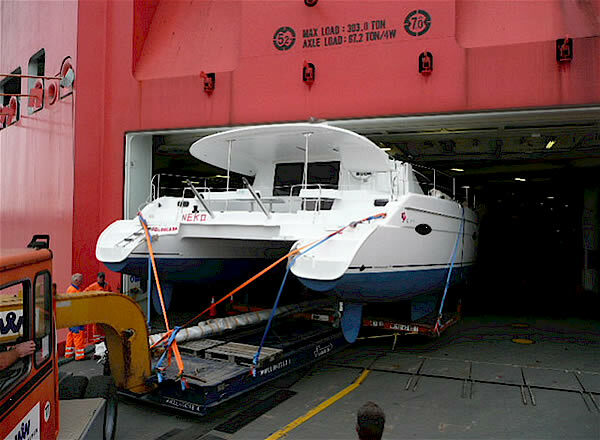 Larger vessels (typically 44ft+) are sailed/powered from the factory in France across the English Channel to Southampton, where they are disassembled and loaded aboard selected ships that are suited to carry these types of vessels to Australia, New Zealand or Asia. 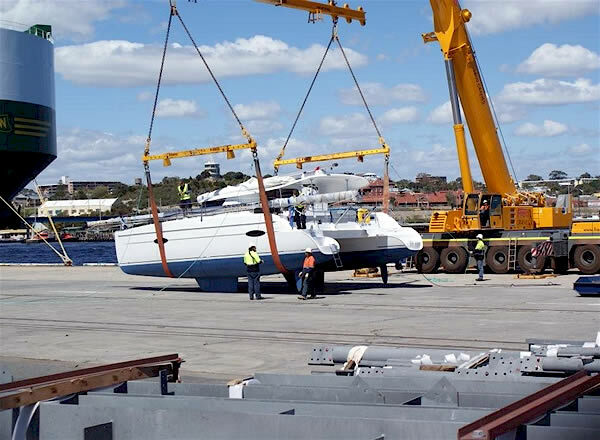 If clients prefer to collect their order personally from the factory and make their own way back to Australia/New Zealand/Asia, ex-factory handovers can be arranged, offering possible savings depending on the client’s circumstances.